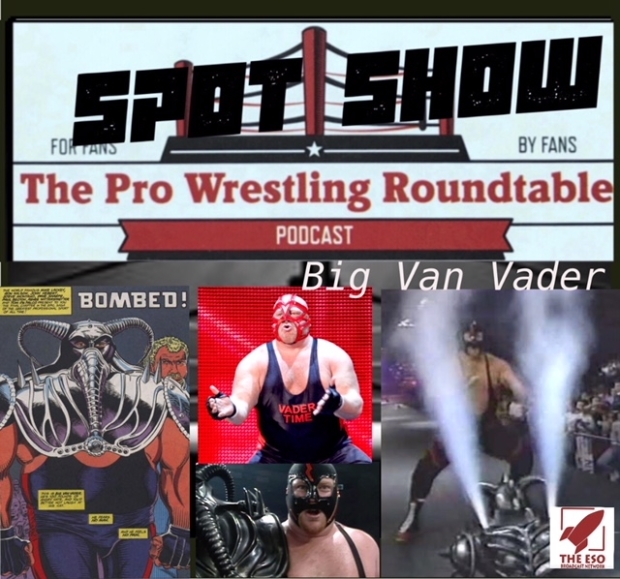 The PWR Spot Show is back with the crew’s look at the career of recently passed Leon White also known as Big Van Vader. “Boss Hoss” John Morgan Neal, “The Indy Darling” Richard Ewell & “The Rated R Podcast Star” Jonathan Williams gather around the roundtable to discuss the career of the greatest big man of all time. From Japan to WCW to WWE, with big crazy mask, without big crazy mask. Eyes popping out of sockets, ears being ripped off and being managed by the great Harley Race. Find out all this and more on yet another exciting edition of The Pro Wrestling Roundtable Podcast!